2/12/2011: Two new tangs! | Wake up, Meeples! 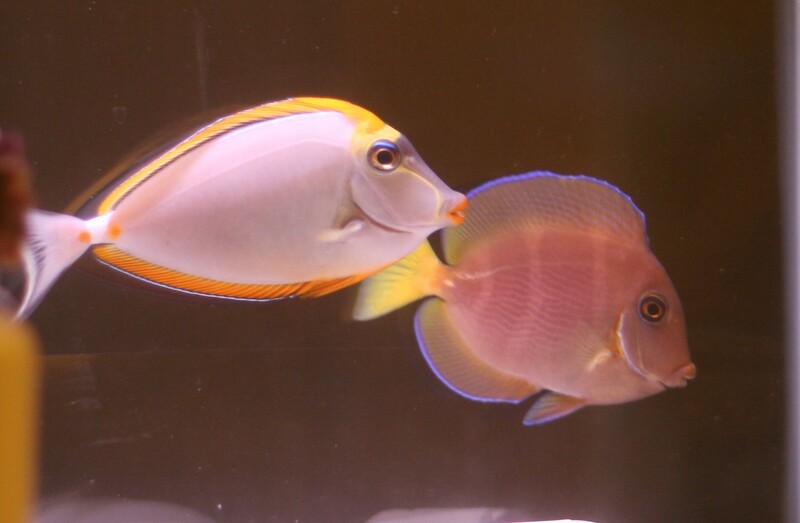 In the picture of both of them, the one on the left is a Blonde Naso tang. He’s clearly the boss of the two of them in the quarantine tank. 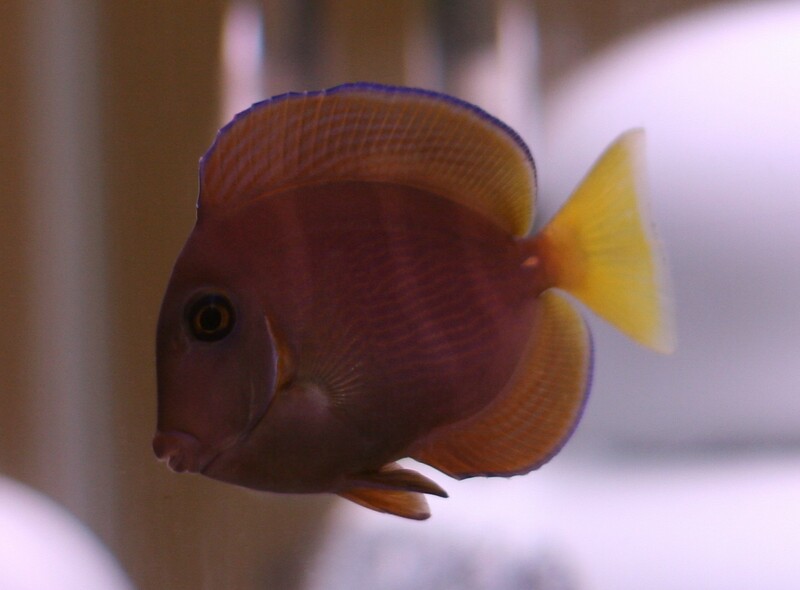 The other one is an Atlantic Blue Tang. 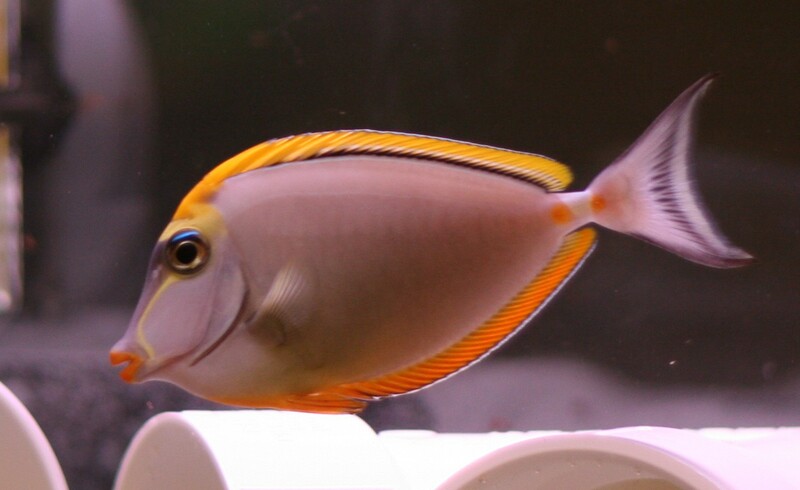 The young ones are more yellow and as they mature, they turn blue. This one is very stressed out, and he might stay that way for a while. If it gets too rough in there, I might have to put a barrier in between the two. I’ll try and update as things to along with more pictures too. This entry was posted in 150G Saltwater Tank, Uncategorized on February 13, 2011 by Adam Horton.